One of the rarest vases to find, almost impossible, only one known up till now. The picture of this vase is on page 144 in the book by Joulin. 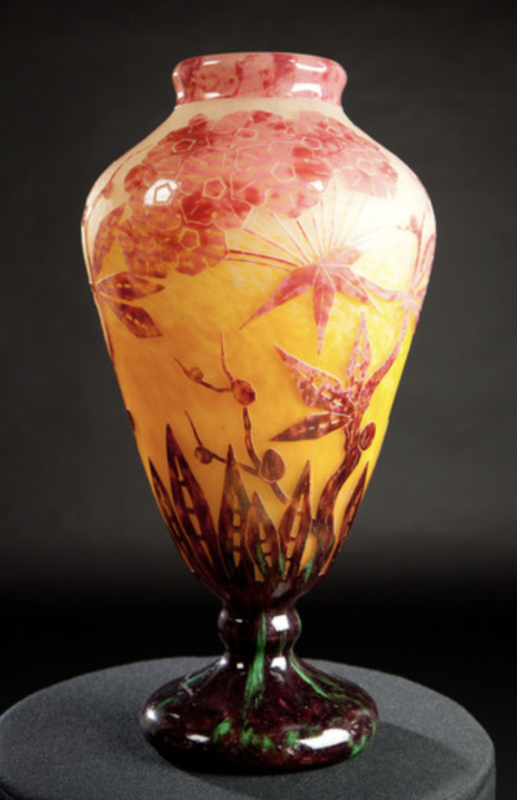 When you start a collection of le verre francais and want an exceptional collection, this is the vase to own, so rare, only once in a life time you get this chance. Beautiful shape and warm ocher colors.